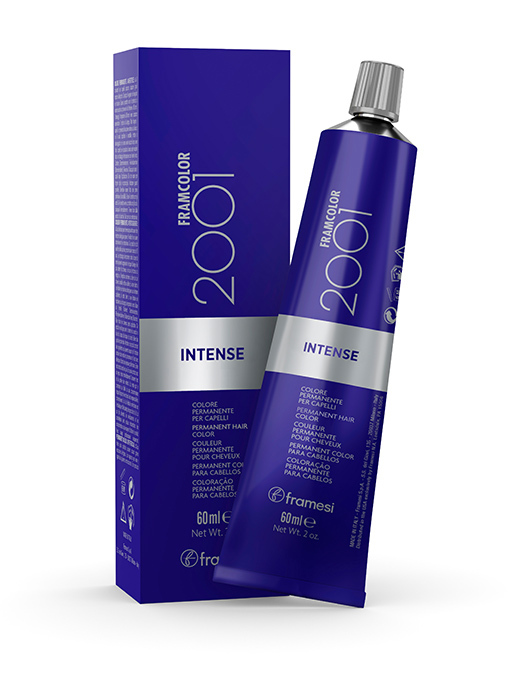 Framcolor 2001 Intense 60 cc tube / 2 oz. Permanent Haircolor. Processes in half the time! Intense 100% gray coverage with all framesi developers. Up to 4 levels of lift. Top performance in half the processing time.